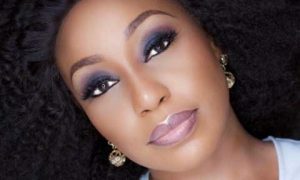 Fed up with society’s approbation of slender and sassy looks and its attendant dietary sacrifices, Nollywood screen diva, Rita Dominic, has cried out against stringent rule books on dieting, stating she wants to “binge in peace”. Dominic, who has been a major health and weight management advocate after her endorsement as the ambassador of slim tea company named Flat Tummy Tea in 2016 and has been on fitness regime, seems to speak the mind of many women as her post has generated a great deal of responses from her fans and colleagues as well as a new hashtag #Whodiethelp, which trended on Twitter during the week. The actress, however, seem to challenge not her fitness regime nor the tea company, but critics who insist on strict adherence to dieting. She asked them to allow her live a little. Yes, they will.